Only 116” wide x 83” deep x 102” high. Lift table includes a protective skirting package for added protection. 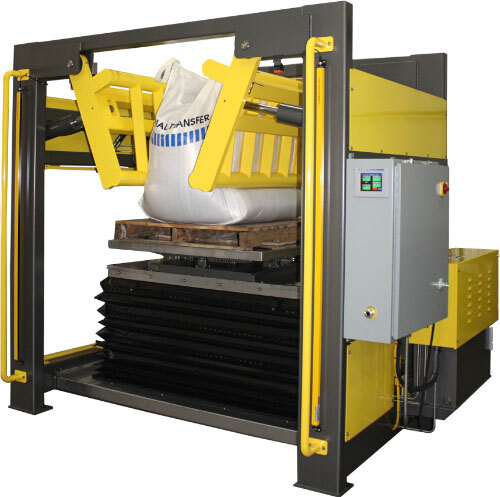 Machine guarding package with load side light curtain for operator safety. Allen-Bradley PLC with PanelView touch screen operator interface allows operator easy access to bulk bag and material conditioning parameters, system status, and manual mode controls.